Why would you prefer going for a home loan only with a bank rather than with an NBFCs? This question was pondering in my mind since the time I had met a cousin of mine. He was really worried to apply for a loan from an NBFC. I think, after the Sharada scam, the RBI is really strict and clear about the rules with regard to NBFCs. Earlier, the minimum net worth for NBFCs was retained at Rs.25 lakh. Now, since March 2017, all NBFCs are to attain a minimum net-owned funds of Rs. 2 Crore, to ensure the ability of the NBFCs to have good financial standing . 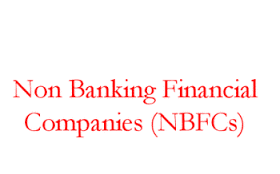 Also you can check the list of NBFCs involved in providing home loan, in the link provided in the official RBI website. So, as discussed above, we find NBFCs too are safe to opt. With the emerging economy and population, India needs support financially. Banks could satisfy this need only to a minimum extent and to only a particular group. This made the need for other financial service providers (NBFCs) which are regulated by National Housing Bank. A coin has both sides. Similarly, banks and NBFCs, have both pros and cons. One should think wise, customize and pick up the best fit. Let us discuss in detail about them. Home Loan Borrowers – Who should opt for a bank? Apart from the 80% loan amount, if you can meet the 20% down payment amount of the property, the stamp and registration amount. If you have enough time to wait till the sanction of the loan. If your property has all the required legal documents. If your chosen bank provides a lower interest rate when compared to an NBFC. Home Loan Borrowers – Who should opt for an NBFC? If you want 80% loan on home value which includes the stamp and registration charges also. If you are running out of time. If you are satisfied with the interest rates. Neither the banks nor NBFCs offer the same interest rate to the existing customers as they offer the new customers. Existing customers can convert to the present interest rate by paying a minimal amount. Usually it is 0.5% – 1% of the outstanding loan amount. Earlier were the days, where you find NBFCs interest rate in double-digit. With the awareness and competition on the shelf, NBFCs are slowly positioning themselves to become viable alternatives to traditional banks for procuring loans.